Exhibition: Friday 10th - Sunday 12th March, 10am - 5pm. 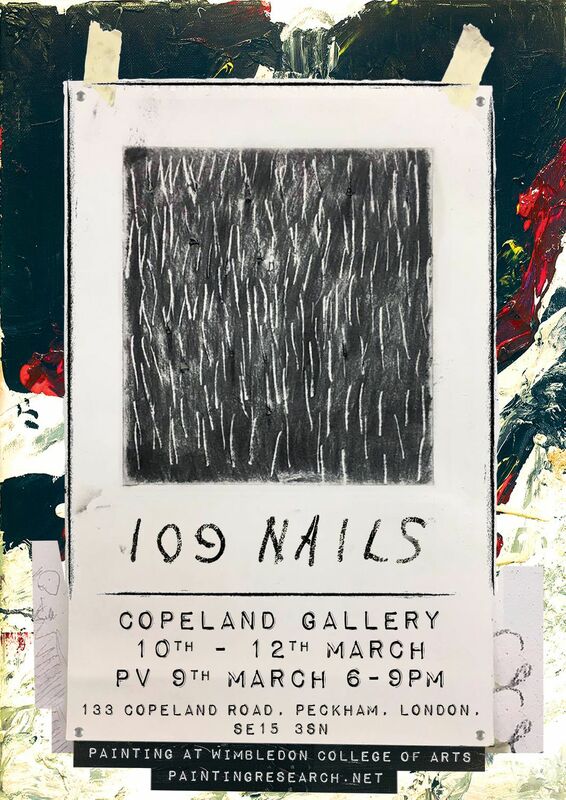 109 Nails presents the artworks of emerging artists in the third year of Painting BA at Wimbledon College of Arts. Including disciplines ranging from painting, sculpture, film and installation, the show will present an exciting mix of the newest work. Private view: Thursday 9th March, 6pm - 9:30pm. Drinks will be provided, plus music by our very own Neal Tait. The exhibition will run Friday 10th to Sunday 12th March. Transport: Peckham Rye is the closest station, 3 min walk.